Musical taste is something that develops continuously throughout your life. Hearing different genres, from different periods in musical history, allows your ear, and your taste to synthesize what it likes about certain types of music, and what you dislike. Because of the prevalence of pop music, (it’s called ‘popular music’ for a reason!) much of what choristers are used to hearing when they start singing in choir, is what is currently popular on the radio. While pop music is fun, and can be complex in terms of instrumentation, and often contains interestingly synthesized sounds, pop music is inherently simplistic. This is why it is popular – simple melodies, catchy rhythms, easily remembered lyrics, all help to cement pop tunes in our minds. Many choristers have never heard true choral sound, many don’t know how to differentiate the sounds of different musical instruments, and increasingly, many are used to the synthesized sounds so commonly heard in pop music. 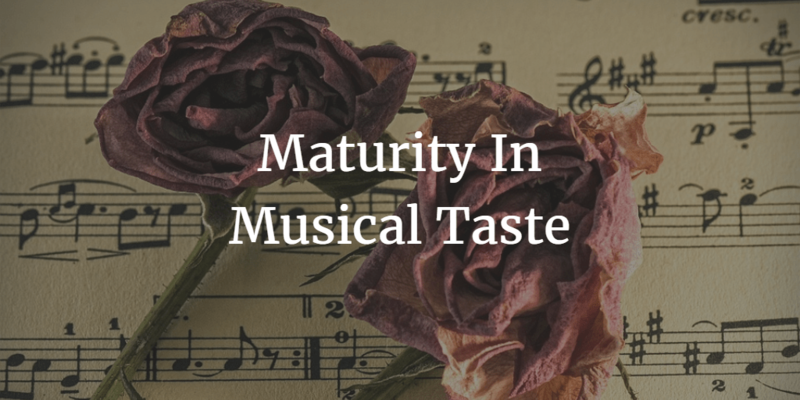 While there is nothing inherently wrong with this, choir, and early childhood musical instruction affords choristers increased exposure to a multitude of different musical styles, and this exposure aids in accelerating maturity in musical taste. Choristers are introduced not just to classical music, which is strikingly more difficult than pop in complexity, they are introduced to folk music, music from other cultures, sometimes sung in different languages, electroacoustic music, sung speech poems, soundscapes and much, much more. This diverse instruction aids in choristers understanding and appreciation of not only more complex forms of music, but an inherent understanding of how such forms of music are created. Music theory and music history help to inform these opinions, as well as in-depth discussions of text, and compositional context. These are important skills in analyzing music, and this deeper understanding of music, helps choristers form informed opinions about their musical preferences. How else does choir shape your musical taste? Tell us in the comments below!